The Central Province of Sri Lanka is home to the towns of Kandy, Matale, Nuwara Eliya, Dambulla and Hatton, to name a few. Kandy, capital of the province, is also widely regarded at the cultural capital of the country - thanks to its renowned cultural sites and nature attractions. Further down south lies Nuwara Eliya, a picturesque town with an emerald landscape and refreshing Springtime climate. Till today, the town retains remnants of its colonial heritage, and serves as a great base for day trips out to nature sites like Horton Plains. Your hill country villa will take you to a different era with its grand colonial architecture and beautifully preserved interiors. A sprawling estate, complete with large living spaces, lush gardens and a full range of modern amenities are all yours. Impeccable hospitality and housekeeping service help round out your stay at the luxury property of your choice. Kandy throws out plentiful options for sightseeing. The most popular attraction is undoubtedly the Temple of the Sacred Tooth Relic - a Buddhist temple that houses the relic of the tooth of Buddha. Sri Mahabodhi Maha Viharaya, a monastery with a striking white Buddha statue is another must-see site for culture lovers. 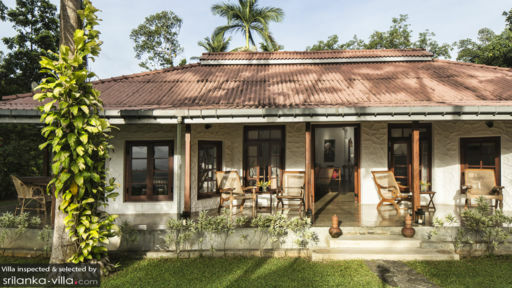 Soak up the beauty of nature with a stroll through the well-manicured grounds of the Royal Botanical Gardens of Peradeniya, or a hike through the forest reserve of Udawattakele Royal Forest Sanctuary. These attractions are located within close proximity (with a seven to 20-minute ride) from the town center, and your villa manager will readily assist with all transportation arrangements. Dining out at Helga’s Folly is highly recommended during your stay in Kandy. The restaurant is atmospheric and eclectic, and creates an unordinary dining experience with its ornate interiors, curious collection of antiques and ornaments and exquisite silverware. For post-dinner relaxation, chill out at Slightly Chilled Lounge Bar, a bar with views over the town and Kandy Lake or at Royal Bar & Hotel Restaurant, where you’ll enjoy jazz tunes in a retro setting. 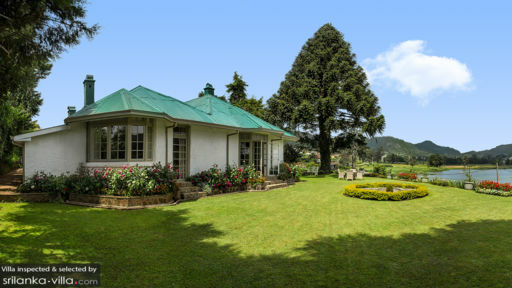 Hakgala Botanic Gardens and Single Tree Hill are sites within Nuwara Eliya where villa travellers may enjoy a leisurely stroll or hike. The vibrantly coloured Seetha Amman Temple offers many opportunities for photo taking, and tea lovers will appreciate the guided tour and tea tasting session at Pedro Tea Factory. With a car and driver (your villa manager will assist with rental), you’ll easily get around as these attractions are located within a seven to 30-minute drive from the town center. Our favourite places for dining and drinking in Nuwara Eliya are Tusker Restaurant (it’s known for dishing out scrumptious seafood fare), Coffee Bar (great for coffee and dessert) and Lake View Pub (as its name suggests, the pub overlooks a scenic lake). Or dine in at your villa, where a team of professional staff will take care of all your dining needs - from grocery shopping, to cooking and cleaning. Planning for family day trips is a breeze as both Kandy and Nuwara Eliya make great bases for exploring the surrounding attractions. From Nuwara Eliya, we recommend visiting Adam’s Peak (two and a half hours by car), Horton Plains National Park (an hour by car) and World's End, Uda Walawe National Park (four hours by car) and Maha Saman Devalaya (four hours by car). 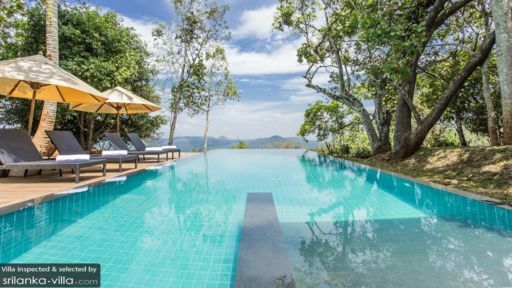 From Kandy, head out to Knuckles Mountain Range (one hour and 45 minutes by car), Wasgamuwa National Park (three hours by car) or Kitulgala (two hours by car), a site known for its exceptional scenery and white water rafting.